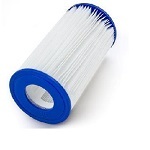 Compatible swimming pool and spa filter cartridge comp. replacements will meet and exceed the original manufacturer pool or spa filter specifications for superior pool filtration. 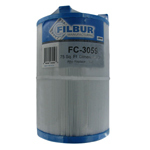 The FiltersFast FF-0141 is the correct replacement pool and spa filter for the PWK30 Compatible. 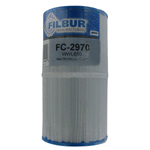 The FiltersFast FF-0210 is the compatible replacement pool and spa filter for the PA106 Compatible. 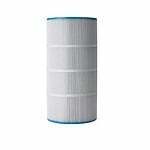 The PLAS35 Compatible Pool & Spa Filter Cartridge measures 5 1/16" x 8 1/2" with 3 1/2" MPT bottom style. This pool filter, also known as the Filbur FC-0303, is built with 30 square feet of media area and has a Closed Crescent Handle top. 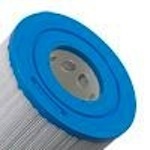 The FiltersFast FF-0121 pool and spa filter is the correct replacement for the PA120 Compatible. 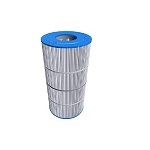 The FiltersFast FF-0151 is the correct replacement for the PCC105 Compatible. 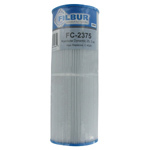 The FiltersFast FF-0171 is the correct replacement pool and spa filter for the PCC80 Compatible. The PWK65 Compatible Pool and Spa Water Filter is a pool filter replacement for Watkins Hot Spring Spas and measures 8.5" x 10.5". This compatible filter boasts 3" top/bottom holes and a media area of 65 square feet. 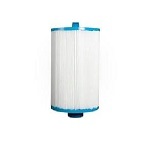 The PMS8T Compatible is a compatible replacement for the following pool and spa filters: Unicel C-4600 PMS8TC Aladdin 10507 The PMS8T Compatible Pool & Spa Filter Cartridge has a diameter of 4 5/8 inches, and a length of 8 inches. 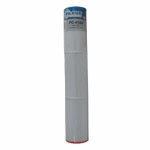 The PPG50P Compatible Filter Cartridge - Pool & Spa is a spa filter cartridge with 35 square feet of media area. This compatible filter features a Crescent Handle top style and Closed top hole. Measuring 6" x 8", this pool filter has a 1.